From a monitered central station connection to a simple telephone dialler connected directly to your existing telephone line, HBA ALARMS can do it all. 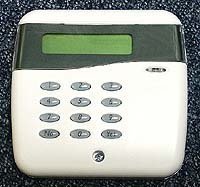 The dialer will alert you any time your alarm system is activated. We can even add on the facility for you to listen in to your home, or make make real time voice messages back if required. Prices start from as little £ 130.00 fully fitted. We can also retrofit this facility to your existing alarm system if required. If you have any questions, or you require the service of an engineer please do not hesitate to get in touch.